Every week-evening, Rotterdam Rail Feeding brings a train from the DOW Chemical factory in Terneuzen to the Combinant terminal in Antwerp. 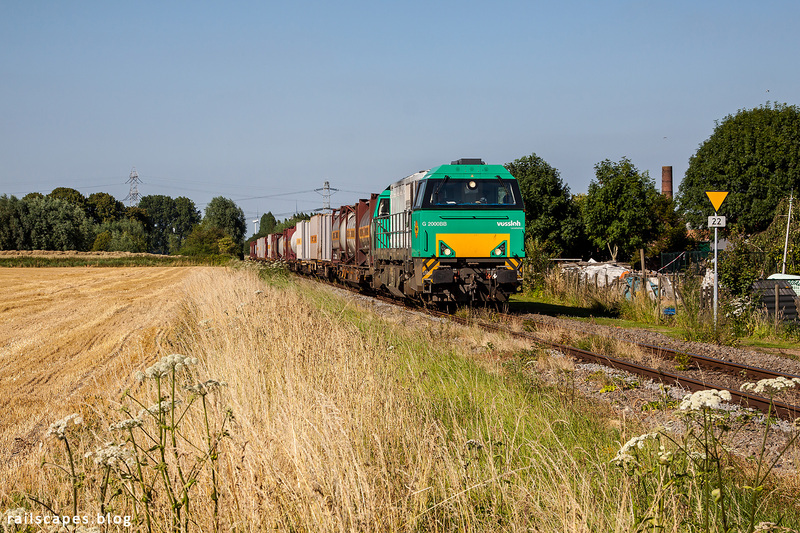 Between Terneuzen and Gent the train usually runs early – very a-typical for a freight train. Being an hour early is no luxury, and even then you can’t be sure if it has already passed or not. My first attempt to make a photo of this train was a succesfull one. I didn’t know yet about it riding before hour; I was just plain lucky that today it rode right on time!